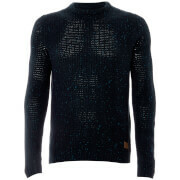 Men’s green ‘Sanders’ jumper from Threadbare. 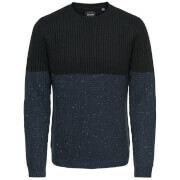 Crafted from a knitted cotton blend, the jumper features raglan sleeves with stitched detail and contrast textured panels across the shoulders and chest. 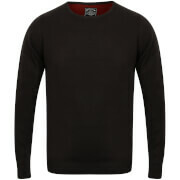 Complete with a brand tab above the hem and a ribbed crew neck, hem and cuffs.